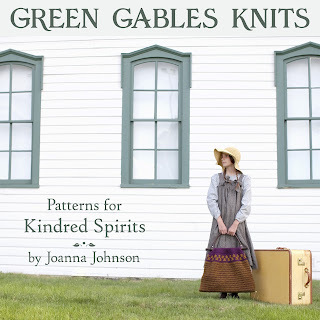 Slate Falls Press: Announcing... Green Gables Knits! We are very pleased to announce... Green Gables Knits! This past fall, I approached the Heirs of L. M. Montgomery about my little book idea, and was simply thrilled to hear that they were interested in arranging an agreement with us, allowing us to create and publish it. I am an unabashed fan of Anne Shirley, and have been dreaming of this book for years! The book will contain knitting patterns for garments and accessories for teens, women and men. Each pattern is accompanied by a quote from the book, along with a series of Lucy Maud Montgomery's personal photographs from Prince Edward Island. We have set a publication date of November, 2013, and dearly look forward to sharing more of this book with you as the months progress! What a wonderful idea, I will pre-order as soon as the option is available!!! Thank you for your kind words! We are very excited to announce this new title! Joanna, you are indeed a kindred spirit! This is the most perfect book concept ever. Thank you so much, Annika! I am meeting so many new kindred spirits through this project! Oh HOW WONDERFUL! I am anxiously awaiting more details. I love the concept, love the sound of it, and predict it'll be wonderful! We are in the midst of all of the details... hope to have more details to share over the summer. How exciting is that? Perfect! Thanks, Deb! I will send you a review copy as soon as I have it in hand! What an inspired idea! I look forward to seeing it. Thank you! I am enjoying this project very much! My daughter is so excited! She loves Anne of Green Gables. Thanks, great to hear it! So excited can't wait for this to be released. Thank you Knitter Kris! We are eagerly working on all of the details! This is such an exciting project! I can't wait to see more. Love that cover image. Thank you, Katie! I can't wait to see your new book, too! Happy Knitting! Thank you, Tess! Thank you for your kind words about the cover, too. Our daughter is the model and she had a great time at the shoot! Awesome book idea! Very much looking forward to this book release! One of my favorite books coupled with one of my favorite needlework hobbies. I can't wait to see the book. Thank you, Casey. I completely agree, two of my favorite things! I'm hyperventilating. It will be my birthday present to myself!